Enjoy a sip of creamy, velvety espresso with the Nescafe Dolce Gusto Espresso Intenso Coffee Capsules. Rich in flavour and aroma, these coffee capsules are sure to liven up any conversation. Treated with maximum 15-bar pump pressure, the Nescafe Dolce Gusto Espresso Intenso Coffee Capsules are high on flavour and aroma with a crema layer on top. 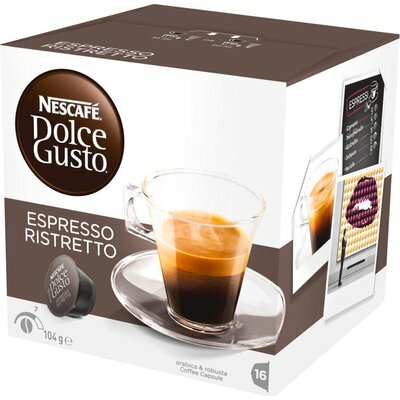 Each Nescafe Dolce Gusto pack makes 16 servings of espresso.